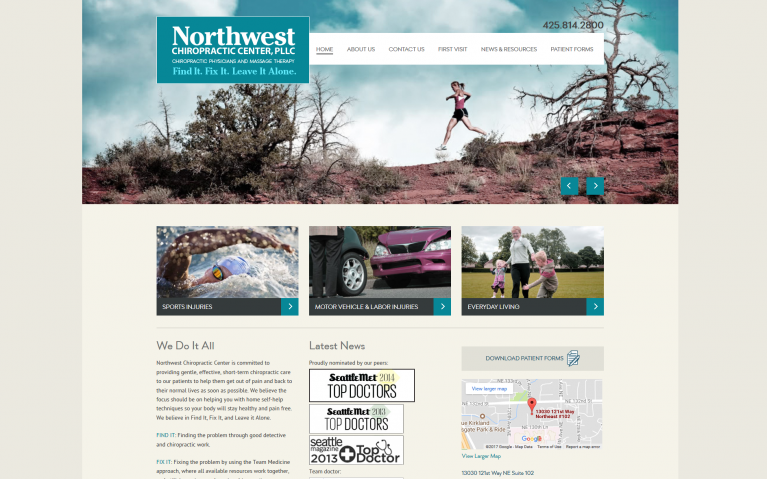 Northwest Chiropractic needed a newly revamped site that could better display the important information about their clinic (such as Newsletters, Patient Forms, and Hours), as well as provide a positive mobile experience. Washington Foot & Ankle, aka The Run Doctor, is a Seattle-area doctor's office specializing in podiatry and related issues. 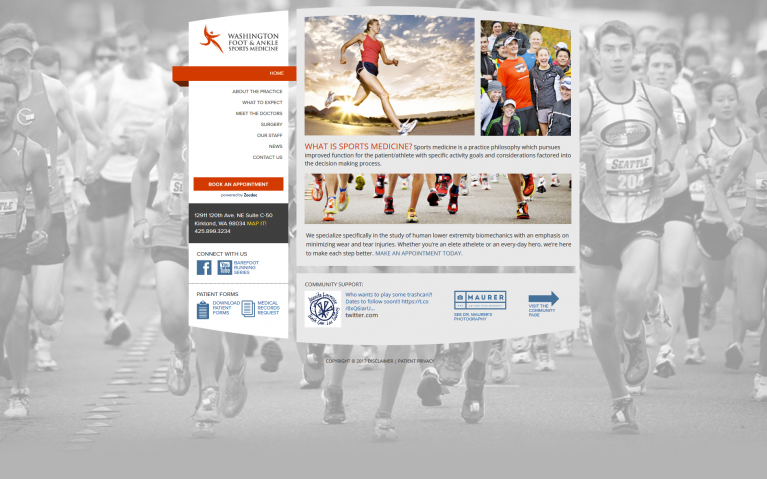 They wanted a site that really stood out, but was easy to use, and provided all the necessary information to their patients. 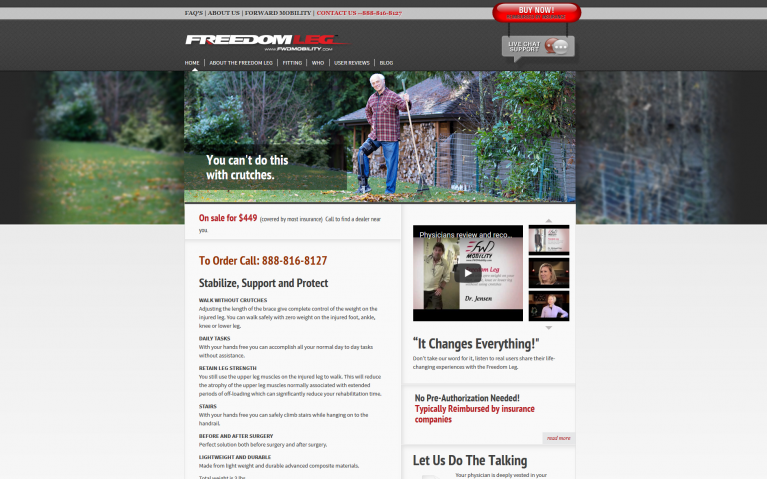 Freedom Leg is a product that enhances mobility for those that would normally be using crutches. 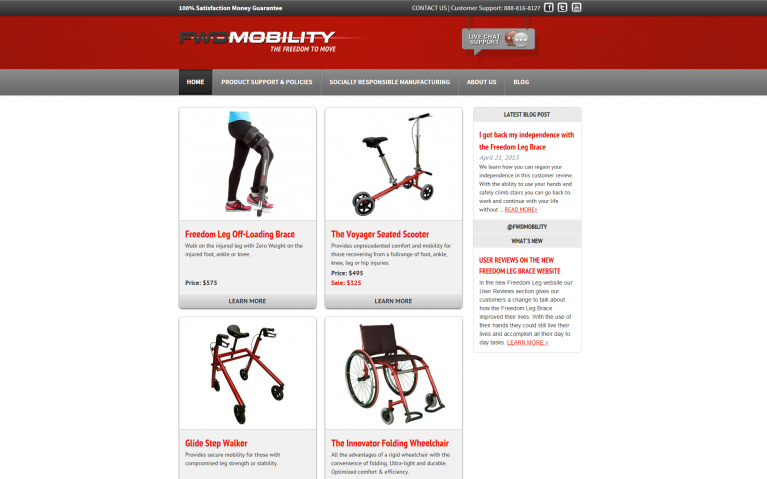 They needed a fresh new website to help inform doctors and patients about the product.